Designed for domestic shipping for freight forwarders, trucking companies and logistics brokers. Our proprietary dispatch software can manage Air Freight, Ocean Freight, Expedited Ground, LTL, FTL and Rail. All from the comfort of ONE Platform. 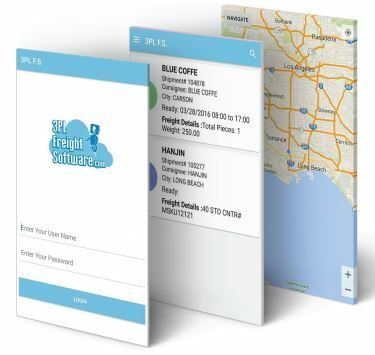 Developed for the trucking industry, 3PL Trucking Software transportation management software enables trucking companies to increase productivity. From receiving orders to dispatch, invoicing and receiving payments, 3PL Trucking Software can manage a complete shipment life cycle. Our proprietary Accounting Software imports invoices, avoiding duplicate data entry. If you use QuickBooks is not a problem, our QuickBooks Integration Software can assist to import invoices. Among the included modules 3PL Trucking Software includes a Customers Portal to allow your clients to view shipment details, documents, invoices and track historical information. Providing a way to share information with your clients and increasing your business relation. Other software providers have a difficult to understand system that takes months to learn. The average time it takes a dispatcher to fully utilize 3PL Trucking Software is about 30 minutes. This is due to the fact that our system was developed based on 100% customer feedback. Creating invoices with one click on 3PL Trucking Software is a reality. Our Auto-Rating Module can manage all types of matrix you build for your customer tariffs. After creating an invoice, you are ready to export the invoice to our proprietary 3PL Accounting Software or have the option to use our QuickBooks Integration Software. Both of these are included in your monthly charge. Completely eliminating the need to manually enter invoices into any accounting module and avoid duplicate data entry. Our implementation takes less than 10 hours, that is correct! Dispatchers and customer service team can start using the program in 30 minutes of training. 3PL Intermodal Trucking Software is developed with the end user in mind. With easy to use modules and navigation adopting 3PL Intermodal Trucking Software is easy to achieve. Did we mention we have a Driver Mobile App AT NO EXTRA COST? Bridge the communication gap between dispatcher and drivers by using our mobile app. You can stay connected with the drivers and their location. Specifically designed with the dispatcher in mind, managing drivers has never been easier. 2019 © 3PLFreightSoftware.com all rights reserved.